I'd be interested in some pics and video of getting this to work. 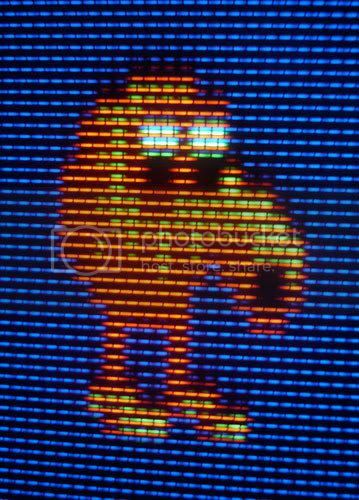 I recently used the information in this threat to build a Q*bert with a knocker using a Raspberry Pi using GPIO pins by making a few minor mods to the advmame code. I'm very happy with the results. Thanks for the information in this tread. I documented my experience with designing and putting in a Q*bert knocker in my MAME cabinet. It sure was! Thanks cnsf! I have read through this thread several times and was still a bit confused. Then I was alerted of your post and it totally cleared things up for me. Finally someone showed the entire setup in one full picture. I plan on building a Qbert cab and this will certainly do the trick! Thanks again. I'm going to be doing pretty much the same thing (if I understand correctly). Just hoping someone can confirm I'm not missing anything. Also, I'll be controlling with a Pac-Drive output with the default 5V output (no external PS). I'll also be purchasing the SSR mentioned earlier (although I'd like to find a cheaper one). What is confusing me a bit is the quoted post about the control voltage of 12V from the power supply. Thread necro as I actually have the parts and time to do this now. Based on re-reading this thread multiple times, I can't tell if I'll be able to drive the relay with the PacDrive. It can dish out 500ma and milhouse had mentioned putting a 500ma fuse inline w/ his control voltage (12v and LEDWiz, I'm trying to use the built in 5V of the PacDrive). In a later post he mentioned a 1A slow blo. Just wondering if I'm confusing 2 different fuses, or if the 500ma wasn't sufficient and the 1A slo blo was needed. And another thing I am confused about. For some reason I thought in Q-bert the knocker actually banged against the cab. The solenoid I picked up has a metal harness with rubber on one end where the metal bolt thing hits. milhouse's build seemed to keep that in tact and it seems to work/sound fine. What is actually going to hit what? Metal on metal, or metal on rubber? "Do not forget the diode across the coil (anode to the grounded side, cathode to the supply side) to prevent damage to the transistor." Just want to verify that before wiring it up as I thought that the Anode was V+ and Cathode was V-. Although if this is to prevent some kind of back voltage, it would make sense that it would be the opposite. You *must* have a diode across the solenoid or relay, whichever one is connected to a solid-state device (transistor, etc). The relay or solenoid itself has no polarity, but the diode is connected in reverse. Its purpose is to short the reverse voltage spike that comes out of a coil (solenoid/relay) when it is switched off. Otherwise the controlling transistor/device can be destroyed. Thanks for the info. There already is a diode across the solenoid so I think I'm good there. Any thoughts on the knocker itself. It seems like it will be metal hitting metal. For some reason I thought the QBert knocker hit the side of the cabinet. Thinking of the sound in a EM pinball machine, it would indeed be hitting the cabinet. It would be a loud "bonk! ", not some tinny metallic sound. Gottlieb loved their old EM technology, so it makes sense that the Qbert knocker would be the same part, working in the same way. Not that I've ever actually seen the insides of a Qbert though. Any thoughts on the knocker itself. It seems like it will be metal hitting metal. For some reason I thought the QBert knocker hit the side of the cabinet. The solenoid hits the metal frame that is mounted to the back of the wooden coin box. The manual (pg 40, index 14) doesn't show the metal frame and mount location very clearly, but these videos do. Yes, those videos make it very clear what happens. I can only surmise that the metal bracket being at the mounting point will transmit the shock to the cabinet. The sound of the knocker in those videos is not very loud though. On EM pinball machines the knocker was loud enough to be heard for some distance around, it was loud enough to cause fright if you weren't expecting it. Agree, on some tables, like my BK2000... it's really startling when it hits. Thanks for the info everyone, I've made some great progress, working on getting Mamehooker and the PacDrive talking. Page created in 0.252 seconds with 113 queries.